What do you do to relax? I take photos. With extra time on a Sunday afternoon, I wanted to take my Nikon 105mm 2.8 macro lens out for another spin. I did this not long ago with a very small spider that took up residence on our screen door, and I gave a few tips on what goes into macro photography. But I wanted to try out this style on other subjects, so I grabbed my camera, my Photix speedlight and trigger, a stand, and went exploring. I'm lucky enough to live on a farm, so I walked around our old barn, waiting for something to catch my eye. Turns out a few things caught my attention! 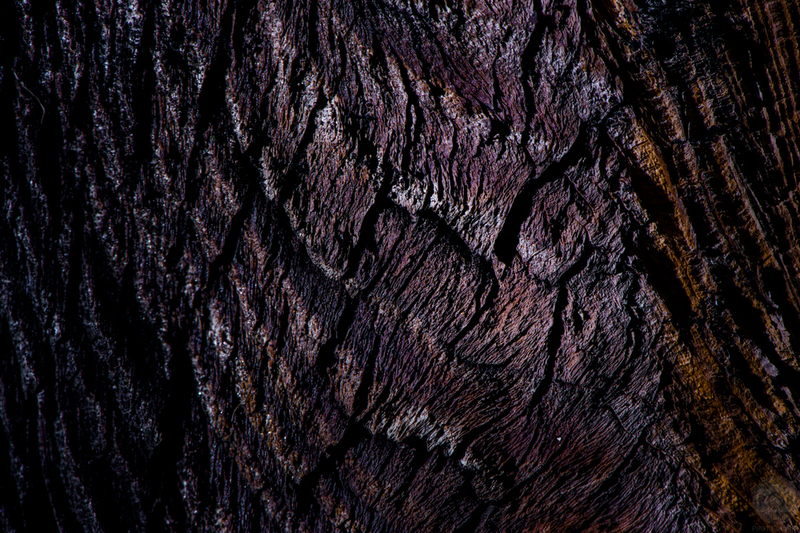 The first was a pretty normal looking tree, but what fascinated me were the patterns of the bark. Using the flash to enhance the directional light, I was able to reveal the hills and valleys of the wood, creating an abstract collage of lines and textures. A little tweaking in Adobe Lightroom brought out the intricate colors which were already subtly there. The second point of interest came when I went just a few feet around the barn where I discovered a giant spider! 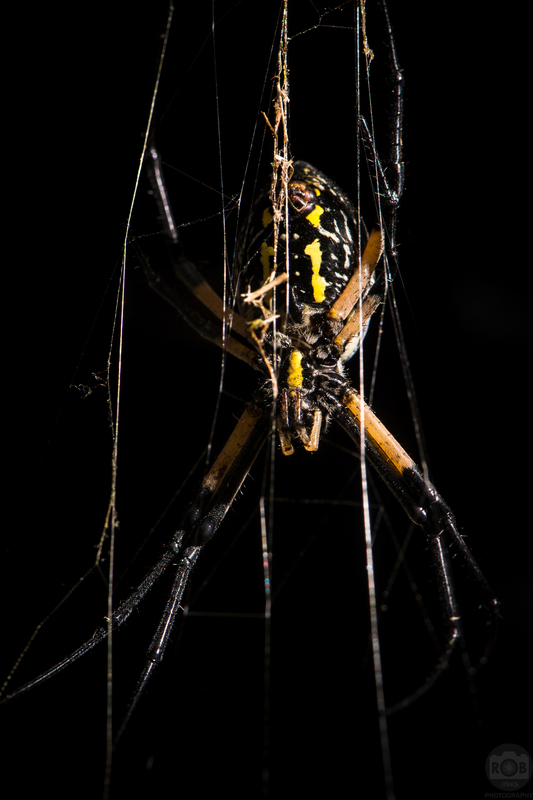 It seems to be a Argiope aurantia (Black and Yellow Garden Spider), but all I know is that it is one of the largest spiders I have seen outside of a zoo, with legs that extended to the edges of my palm (no I did not touch it). It took a lot of perseverance to get these shots. Focusing precisely, not bumping the plant attached to the web, balancing the flash with ambient light; these were all important considerations. The results are understandably creepy. Check out the Instagram video timelapse of this shoot. The next subject was much more approachable and cuddly. Here the flash did well to illuminate the flower as the sun began to set. What surprised me the most were all the ants running around in the flower! There must have been 30 or more. 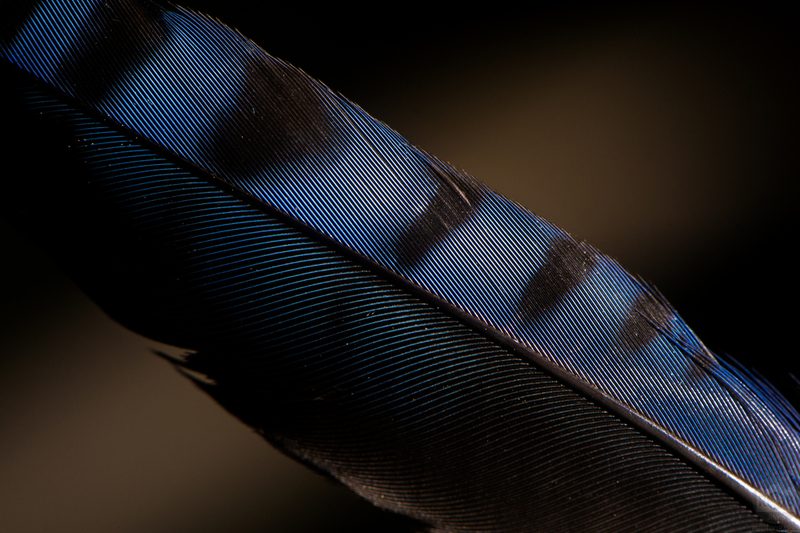 The Blue Jay feather as found on the ground. The flower was going to be my last subject, was as I was walking back, I stumbled across this feather, presumably of a Blue Jay. Since there was very little usable ambient light at this point, a flash was absolutely needed. It not only illuminated the feather, but brought out the colors and textures in a way that the ambient light would never accomplish at this time of day. Overall I couldn't have asked for more on this adventure. It's hard to go wrong when hunting for interesting subjects in the world of macro photography, especially when you live on a farm! If you are interested in learning about the techniques that go into capturing these images, click here! Thanks for stopping by! Be sure to like, comment, and share if you enjoyed this!